For general inquiries please email [email protected] or call the office on 020 7833 4883. Find Vacancies on Charity Jobs or listed on our website. 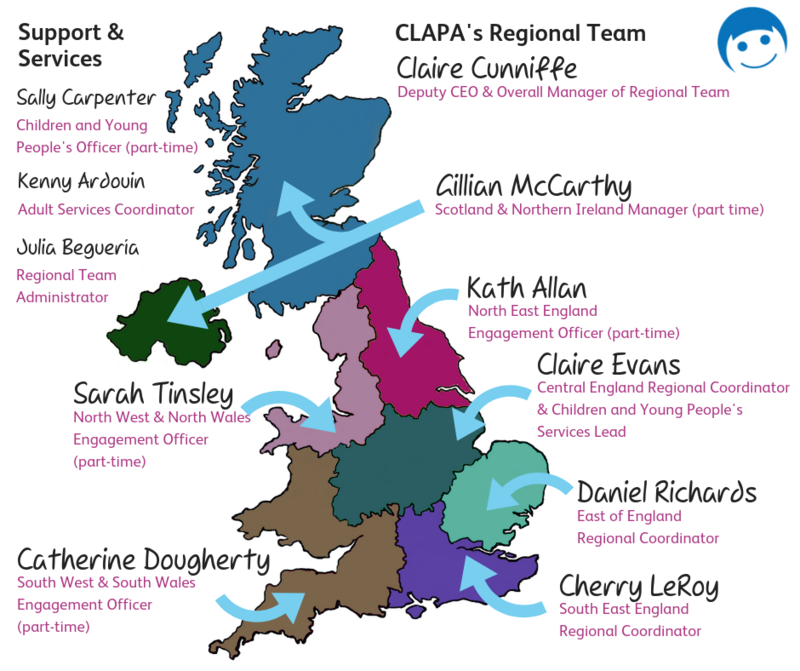 Claire joined CLAPA in February 2011, initially to pilot the Regional Coordinator project which she has led on since its inception. 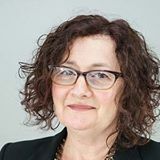 Having been Deputy Chief Executive for 2 1/2 years, she was appointed CEO in September 2018 to work with the Board of Trustees to set and lead on delivery of the organisational strategy. 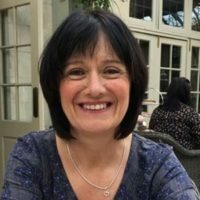 Claire has a background of developing services within voluntary organisations and plays an important role in strengthening CLAPA’s links with health professionals developing partnerships with other charities. Anna joined CLAPA in June 2011. 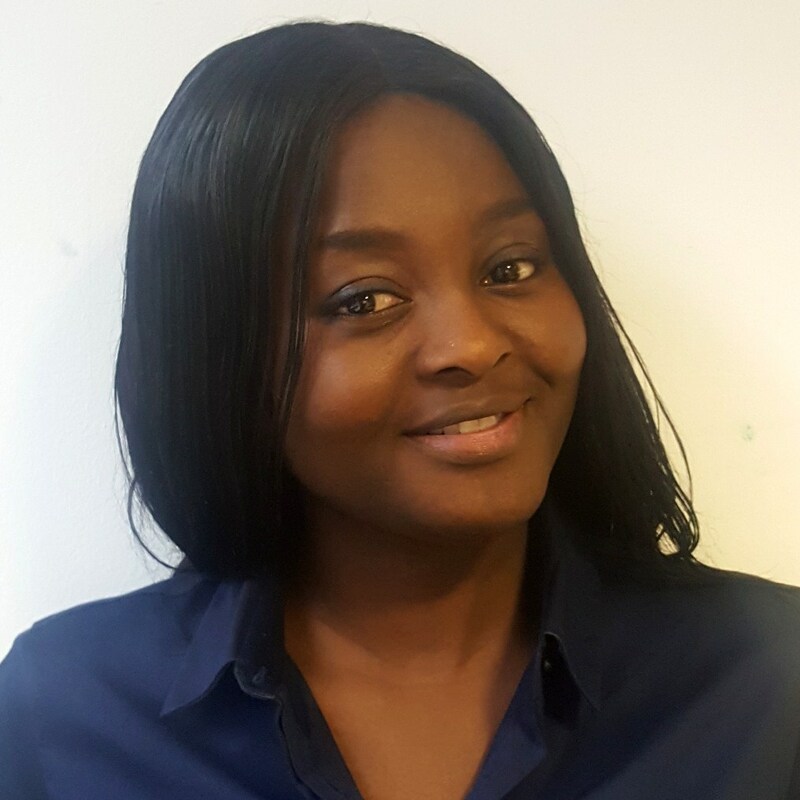 She now looks after CLAPA’s communications, medical information and data management. 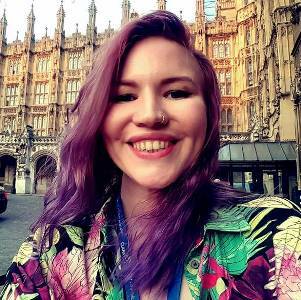 Anna is responsible for developing CLAPA’s communications, including social media, the website, and print media, as well as looking after external campaigns, PR, messaging and branding. She has also organised many of CLAPA’s national conferences. Anna is responsible for developing and maintaining CLAPA’s databases, and is CLAPA’s data protection lead. 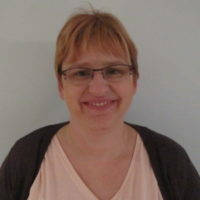 She is also responsible for reviewing, writing and publishing all of CLAPA’s information products, including the medical information on the website. 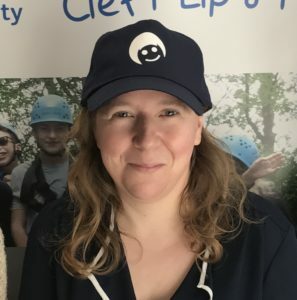 Jenny joined CLAPA in December 2017. Her work focuses on telling CLAPA’s story through working on content for CLAPA’s website, emails, and CLAPA’s social media channels. As well as working with members of the community who want to share their stories, and signposting people to the right support systems and information, she is also a point of contact for regional team members, working with them to promote CLAPA’s services across the UK, and tries to keep everyone at the organisation, and in the wider CLAPA community, up to date with CLAPA’s exciting plans and news. Rosalind joined CLAPA at the end of October 2017 as the Senior Community Fundraiser. Rosalind’s main role is to help CLAPA’s fabulous fundraising community in reaching their full potential. If you are interested in organising a fundraising event or would like some advice, then please don’t hesitate to get in touch with your fundraising ideas! 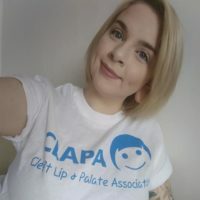 I first joined CLAPA in June as a volunteer and was a part of the fundraising team, I soon loved the work CLAPA do in supporting families and young people affected by cleft and began to see my future career in working in the charity sector. I then gained the position of the challenge events fundraiser role at CLAPA and I really love it. 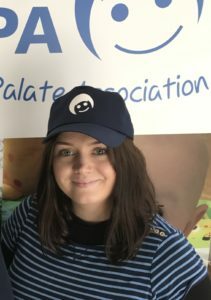 I graduated from university last year and my previous experience has mainly been in childcare so I am very happy that I made the change into charity work. My main responsibilities as the challenge events fundraiser are to develop, promote and manage the challenge events fundraiser programme, manage the stewardship for all challenge events participants and manage sports clubs activities. I started working for CLAPA in July 2016. I bring extensive funding experience to my role, which will focus on ensuring core funding for CLAPA. I have successfully secured funding for diverse organisations serving children and families, carers and older people in organisations of different sizes, from trusts, foundations, lottery funders, European and statutory sources. I look forward to bringing in funding for CLAPA to ensure a bright and sustainable future. I work from home in Tyne and Wear. Chris looks after our feeding service, including processing orders and sending them out to families and NHS Trusts. He works part time in the afternoons. As Finance Manager, I oversee all areas of finance and administration including: payroll, accounts payable and receivables, cash management, general ledger, inventory, banking and reconciliations. I provide strategic analyses for senior management to determine project and organisation performance. There are a number of things I enjoy while working with CLAPA such as problem solving and working as a team to grow the organisation. I can really see the results of my work and decisions having an impact on the operations. I have BSc (Hons) in Accounting and CIMA part qualified. Kenny manages CLAPA’s new Adult Services Project. My name is Sally and my job in CLAPA is being your Children and Young People’s Officer. You may have seen me on the Young People’s Facebook Group! My job is to listen to you guys and try to put things in place that will help you all in your lives. I am here if you need help or support in any way! I also help arrange activity days, Residential Weekends, family days and everything in between. You might see me on one of these, so keep your eyes peeled : ) Above all else, I am here to help so always contact me if you need it! 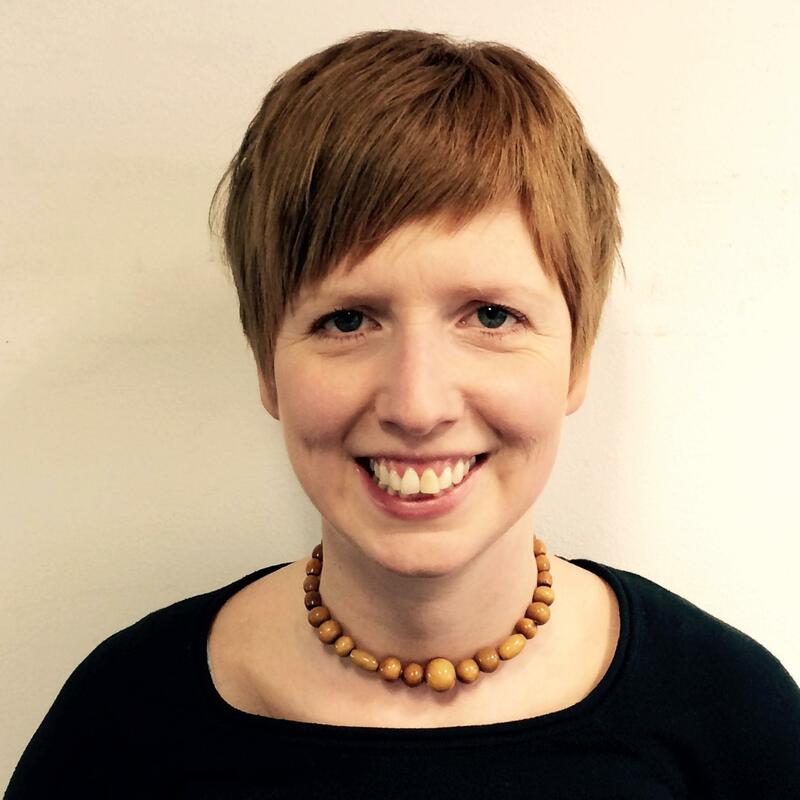 Claire joined CLAPA in October 2014 and is the Regional Coordinator for Central England. She is responsible for volunteer recruitment, support and training as well as local fundraising and organising events in the region. Claire has a charity background focussed on young people’s participation, project management and community engagement. Claire is home-based in Staffordshire. 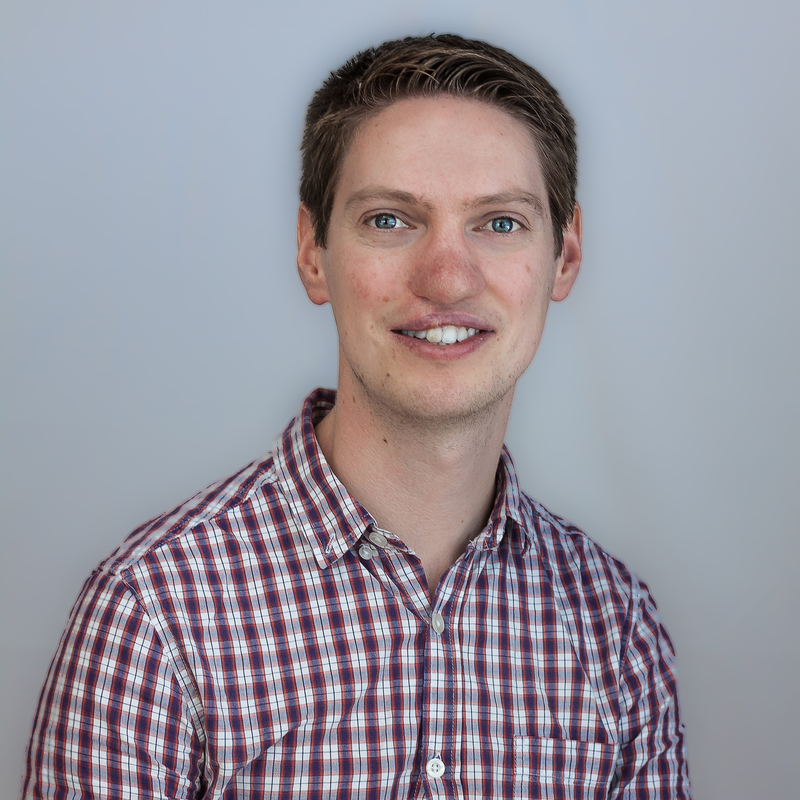 Cherry joined CLAPA in June 2015 and is the Regional Coordinator for the South East of England. She is responsible for volunteer recruitment, support and training as well as organising fundraising events in the region. 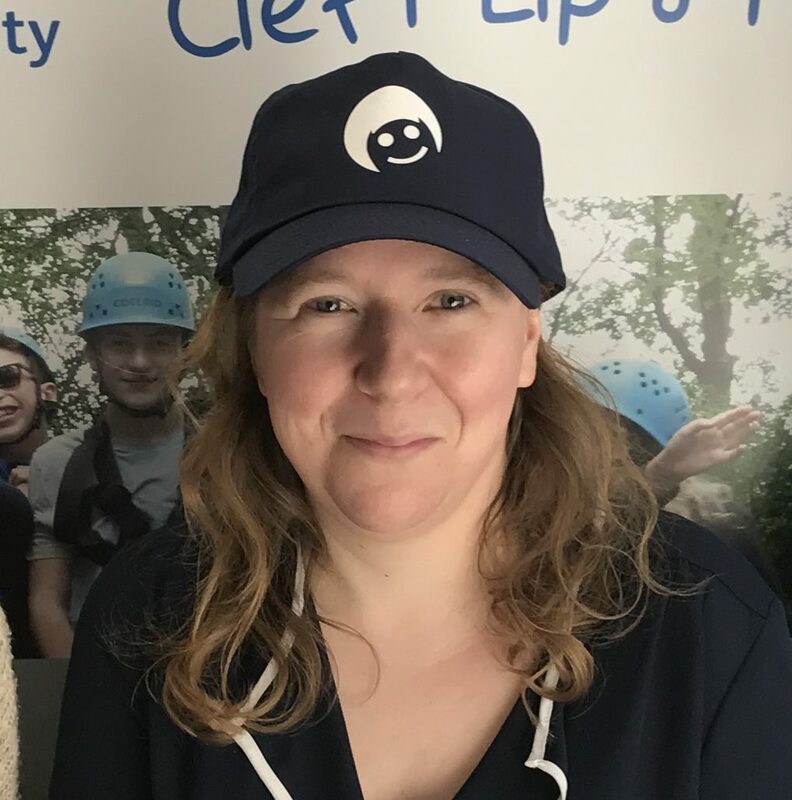 Cherry has worked in the voluntary sector for many years and latterly for Home-Start supporting local schemes and recruiting, training and supporting volunteers in a similar role. Gillian joined CLAPA in October 2014 initially as the Scotland Engagement Officer and then as the Senior Regional Coordinator for Scotland from September 2015. From September 2018 she has worked part time for 3 days per week. Her role involves recruiting, training and supporting volunteers as well as developing local branches, happy faces groups, older children’s activities, raising awareness and supporting local fundraising. Gillian has previously worked as a Speech and Language Therapist and in Project/Service Development with volunteers as well as running her own business. She has volunteered in several roles including mentoring, e-befriending, a member of the Children’s Panel and a Childline Counsellor. 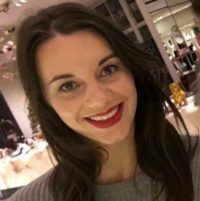 Sarah joined CLAPA in September 2017 and is the Regional Engagement Officer for North West England & North Wales. She is responsible for volunteer recruitment, support and training as well as local fundraising and organising events in the region. 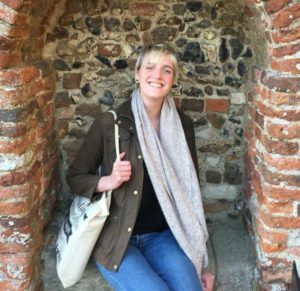 Sarah has previously worked for The Royal British Legion, National Trust and Young Enterprise, recruiting, training and supporting volunteers and has also run her own business. 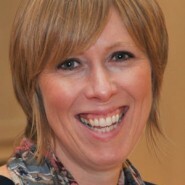 Sarah is currently studying a degree in Counselling and Psychotherapy. Sarah is home-based in Lancashire.